Britain's famous parliament clock tower is to be renamed Elizabeth Tower in honour of the queen's diamond jubilee, officials announced on Tuesday. The change comes after dozens of lawmakers signed up to a campaign to change the name of the tower -- officially named the Clock Tower , commonly known as Big Ben -- in celebration of Queen Elizabeth II's 60th year on the throne. Big Ben is technically the name of the huge bell at the top of the 96-metre (316-foot) tower, one of London's best-loved landmarks. 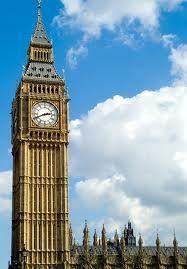 "The House of Commons Commission welcomed the proposal to rename the Clock Tower Elizabeth Tower in recognition of HM The Queen's Diamond Jubilee, and will arrange for this decision to be implemented in an appropriate manner in due course," a spokesman said.